April 17, 2018 (Ocoee, Fla.) – Beyond improving care and convenience, onsite healthcare centers are helping both employers and patients achieve significant savings in medical and pharmacy costs. Crowne Consulting Group, Inc. is engaged in co-operating over 30 health and wellness centers for large employers across Florida. In addition to medical care, centers offer free pharmacy services with generic prescriptions available for employees, dependents, and retirees. Employers pay low-cost wholesale rates on prescription drugs, which drastically reduce expenses for the employers. Patients benefit by conveniently walking away from appointments with free or low-priced medicine. “Employers need innovative solutions because Americans are wasting millions annually on price gouging, clawbacks, and other forms of prescription drug overcharging,” said Ray Tomlinson, president of Crowne Consulting Group, which specializes in decreasing employer healthcare costs through customized onsite-healthcare models. In addition to improving access to quality care, Crowne’s experts stay focused on helping employers combat the rising costs of specialty pharmacy drugs through drug-spending evaluations and cost-containment programs. Spending control is vital according to a study released in March by University of Southern California – Schaeffer Center for Health Policy & Economics, which found customers overpaid for prescriptions 23 percent of the time. Reports reference “clawbacks” as when customers unreasonably pay prescription copays that are higher than a drug’s actual cost. JAMA Internal Medicine recently reported generic drug substitutions are critical in reducing wasteful spending in healthcare. The researchers specifically noted expenses can be mitigated with generic versions of statins as opposed to brand-name drugs with higher costs. Through wholesale generic drug programs and onsite healthcare services, Crowne’s clients have reported multimillion-dollar savings in healthcare expenditures, while simultaneously enhancing care for patients. 1/27/2014 news report by GTN News discusses the reason why Levy County Schools is opening an Employee Healthcare Center with the help of CareHere and Crowne Consulting Group. The Levy County School Board is looking to keep employee health care costs from climbing too much through the act of increasing employee wellness and enhancing affordable access to quality care. 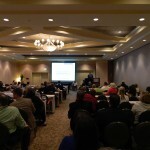 Jan. 30, 2013 — Crowne Consulting Group and CareHere joined the nation’s top benefits experts this week at the Health Benefits Conference & Expo (HBCE) in Clearwater, Florida. 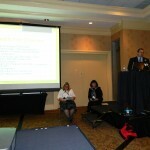 In addition to being featured exhibitors at the conference, CareHere’s Director of Strategic Development, John Watson, joined Pasco Schools and Med-Vision LLC in offering a dynamic presentation on how to save money through onsite care and data-driven programs. Rather than passing rising health costs on to employees, CareHere and Med-Vision helped Pasco County schools discover an innovative approach to cut costs by enhancing healthcare for its more than 8,000 employees. By coupling onsite health and wellness centers with customized wellness programs to engage employees, Pasco County schools flattened prescription drug costs and reduced health costs nearly 5 percent, saving more than $2 million in 2011. 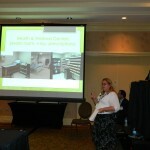 Mary Tillman, Pasco Schools’ Director of Employee Benefits, discussed the financial value of boosting employee health. Med-Vision’s Vice President, Connie Gee, explained how health data analytics and wellness planning is crucial to controlling costs, and John Watson of CareHere highlighted the implementation and long-term benefits of Pasco Schools’ CareHere health centers. For more information about Health & Wellness Centers, e-mail jwatson@carehere.com. December 5, 2012 (Ocoee, Fla.) – Beyond improving employee healthcare through onsite health centers, Crowne Consulting Group, Inc. is drastically lowering health costs and decreasing workers’ compensation costs for employers. Crowne collaborates with Tennessee-based CareHere, LLC to operate more than 25 health and wellness centers throughout Florida, with the City of Lake Mary opening last month and the City of Kissimmee slated for 2013. 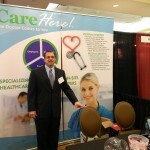 CareHere specializes in primary care, occupational services, pharmacy, and disease management. Its cost-saving model helps self-funded employers extend employee benefits to include zero copays, no deductibles, and free screenings. Crowne and CareHere’s worksite centers are the first stop for triage and treatment of workers’ compensation and other occupational services. Services are fully compliant as there is no co-mingling of health information with work-related services. The occupational health providers also follow required regulations related to medical surveillance programs, drug testing, reporting, and return to duty. Since opening three onsite health centers in 2011 and implementing numerous wellness and benefits education programs, Pasco Schools realized a more than 50 percent decrease in workers’ compensation costs, totaling over $1.5 million in savings. Th City of Ocoee’s medical costs of its workers’ compensation program averaged a 70 percent annual reduction during a four-year span. Last year, 92 percent of eligible employees visited the center at least once, with 35 percent of the visits for acute care. management and human resources consulting. City of Oviedo’s onsite health center operated by Crowne Consulting Group helps employer improve employee healthcare while lowering medical trend increases. Feb. 28, 2012 (Ocoee, Fla.) – Crowne Consulting Group, Inc., an employee benefits consulting firm specializing in onsite health and wellness centers in Florida, reports that the City of Oviedo reduced health cost trends by adding a worksite health center for employees. Since opening the center in March of 2010 in an effort to avoid passing increased health costs to city workers, the City of Oviedo reversed its trend down to just a 2 percent annual increase. This defies the nation’s average 12 percent annual rise for medical inflation. Financial savings include all operational costs for the health center, which is co-operated by Ocoee-based Crowne Consulting Group and Tennessee-based CareHere, LLC. City Manager Kathryn Breazeale believes that over the past two years, employees benefited by receiving free generic medication and health and wellness services provided through the clinic. Approximately 85 percent of the city’s 245 eligible employees visited the free clinic in the first year for more than 3,000 service appointments including primary care, screenings, chronic disease management, digital X-rays, EKG, and occupational services. In addition to zero deductibles for services, 80 percent of the city’s employees benefited from free health risk assessments with lab work for evaluation of cholesterol, blood sugar, liver function, and blood pressure. “Assessing risks early and engaging employees to manage conditions is a contributing factor to thousands of dollars saved for employees and taxpayers,” said Ray Tomlinson, president of Crowne Consulting Group. In addition, thanks to wholesale rates, the city’s total prescription costs through Crowne and CareHere decreased 8 percent per member. Crowne Consulting Group, Inc., founded in 1986, consults and provides administrative oversight services for onsite health and wellness centers to employers and is a related company with The Crowne Group, an employee benefits consulting firm, specializing in employer solutions and personal lines of insurance. Crowne’s experts have a cumulative 100 years of experience in serving public sector employers such as school boards, city and county government, as well as private organizations. The firm’s mission is to bring innovative solutions that meet the fiscal responsibility of employers and maximizes investments. Solutions include health reimbursement arrangements, self-funded plans, onsite health and wellness centers, as well as risk management and human resources consulting.